Enriched by our vast industrial experience in this business, we are involved in offering an enormous quality range of Arti Machine. this machine utilized in the temple at the time of prayer. 27" large drum, two bells, two jalars all the instrument rings symantaneously to produce Marvellous Music. Our company has been successful in winning appreciation from the clients as one of the most prominent names in supply of Nagada which is used in temple at the time of arti. With our expertise and trustworthiness, we are engaged in offering an optimum quality range of Aarti Nagara Double Machine. 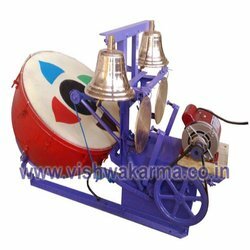 We are successfully meeting the varied needs of our patrons by offering a wide gamut of Temple Aarti Machine as per their precise needs. 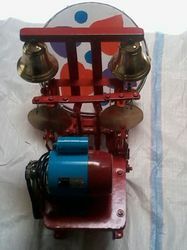 20 Nagada1 No.2.4 Kg Bell2 No.1.00 Kg Jalar2 No.0.25 hp Motor1 No.